Gail Dexter Lord—experienced, innovative, effective, —is one of the world’s foremost museum planners. Gail has extensive experience in the museum and cultural sector and brings exceptional vision and knowledge to each of the projects she leads. Gail has been instrumental in developing museum planning having co-authored with Barry Lord five museum planning manuals that have been published in English, Spanish, Russian, Chinese, Greek and Georgian. Gail has co-authored with Ngaire Blankenberg the book Cities, Museums and Soft Power (AAM Press 2015) which explores how museums can activate their soft power in the 21st Century. Her in-depth knowledge of museum audiences and sensitivity to the cultural resources that all communities have, as well as their need to nurture and develop those resources for the public benefit, make Gail particularly effective in planning for innovative approaches to cultural organizations such as the National African American Museum of History and Culture, the new branch of the Smithsonian Institution on the National Mall in Washington, Canada’s new national museum, the Canadian Museum for Human Rights, the Master Plan for Harvard University Museums, the Museum of the African Diaspora in San Francisco, the Lowry in Salford, launched in 2000 as one of the UK’s Landmark Millennium Projects, and the Bahrain Monument. Gail co-founded Lord Cultural Resources with husband Barry Lord in 1981. 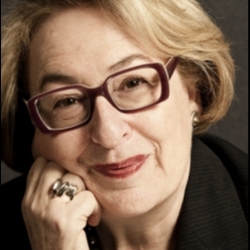 Gail is a Member of the Order of Canada (2016), Alumna of Distinction by University College, University of Toronto (2015), and Officer of the Arts and Letters in France (2014). In 2016, she was awarded an Honorary Doctor of Letters, by McMaster University.